The CornerStone – Select Snag-Proof Pocket Polo Style CS412P is available in Adult Sizes: XS-4XL. 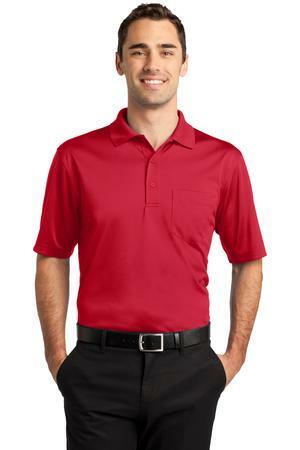 Want a highly durable shirt that gives you a professional look? This is your shirt. This shirt is snag resistant, wrinkles resistant, odors resistant and shrugs off moisture. Made to work, this high-performance polo can handle whatever your job dishes out. Snags, wrinkles, odors and moisture don’t stand a chance-this rugged polo shrugs them off so you maintain a clean, professional appearance.